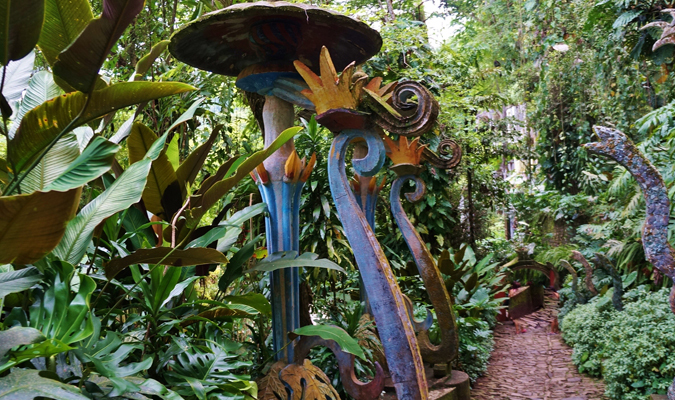 Huasteca Culture & Surreal Edward James Gardens of Xilitla trip is a great extension to any Mexico City visit, visiting a surreal world full of whimsical statues and lush jungles. 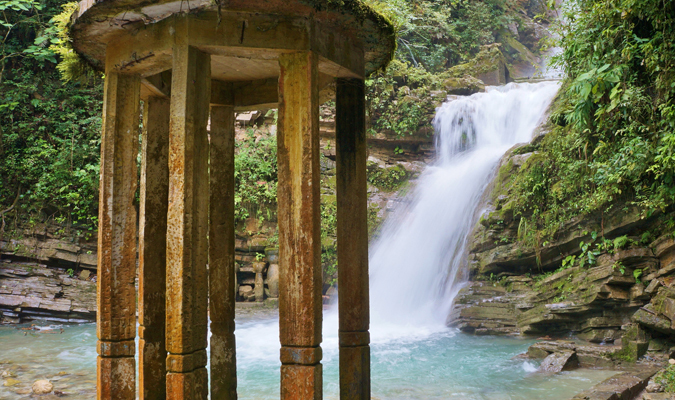 Embark on a three days fantastic journey that will take you to discover the Huasteca culture & “Las Pozas” (the Pools) of Xilitla, an extraordinary sculpture garden located over 2,000 feet (610 m) above sea level, in a subtropical rainforest in the mountains of Mexico. 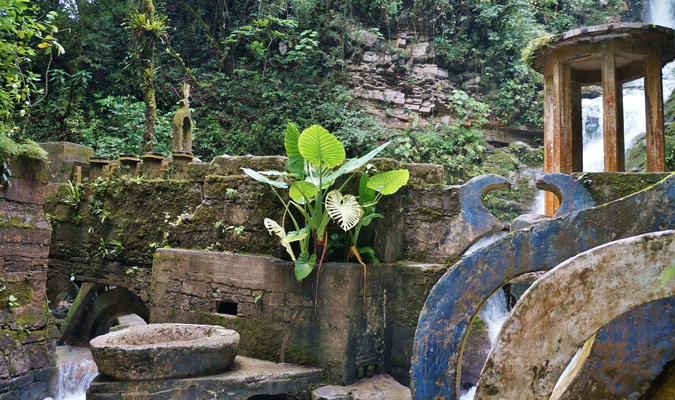 Here you’ll discover spectacular fauna, lush flora and stunning landscapes among 80 acres (32 ha), surrounded by beautiful rivers with cascading waterfalls and pools interlaced with towering Surrealist sculptures in concrete. 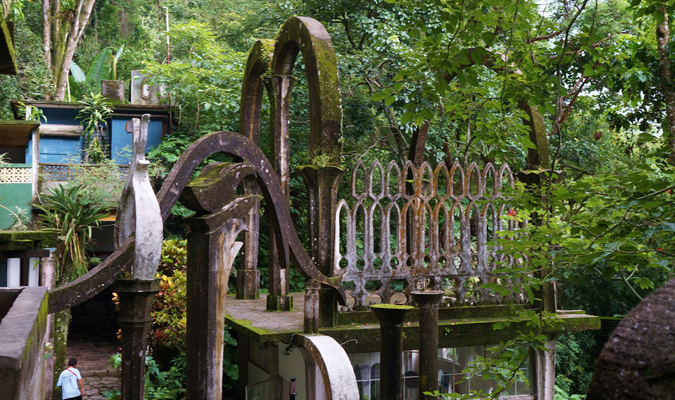 With its origins dating back to late 40’s, “Las Pozas” was created by Edward James, the eccentric English poet and artist. 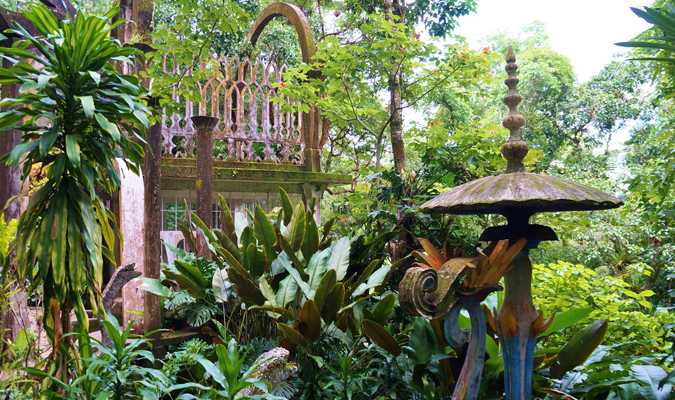 For the ten years Edward used “Las Pozas” to plant orchids and as a home for exotic animals, but followed by a unprecedented frost, Edward started building the extraordinary sculpture garden we see today. 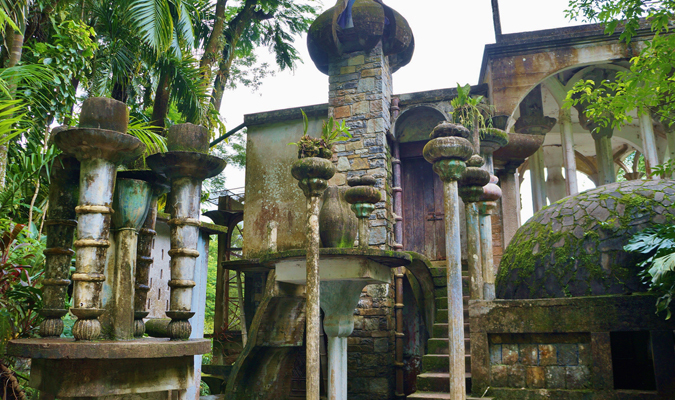 The design of “Las Pozas” was inspired both by his orchids and the vegetation of the Huastecan jungle, combined with architectural elements taken from the Surrealist movement he was so closely involved with. 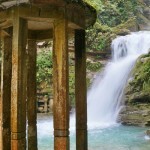 Enjoy an adventure that will allow you to discover the beauty of this well-hidden gem of The Huasteca Potosina and marvel at its natural and cultural wonders while you explore it all, from meeting indigenous communities & local families, discovering amazing archaeological sites and stunning landscapes, to witness a bird’s evening natural spectacle at the Cave of Swallows, one of deepest and most impressive caves in the world. 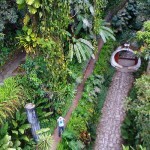 Day 1: Arrival at Tampico Airport- Private Transfer to Xilitla – Visit to Ciudad Valles & Huasteca Culture Museum en Route. Arriving at Tampico airport early in the morning, you will meet your private guide for a three-hour drive to Ciudad Valles. Stop at the unique Hotel Taninul along the way for a delicious lunch. This property is set inside nearly 750 acres of lush tropical forest and is located in the heart of the Huasteca Potosina region, which includes parts of the states of Guanajuato, Querétaro, San Luis Potosí, Puebla, Hidalgo, Tamaulipas and Veracruz. After enjoying lunch, your journey continues with a visit at the “Huasteca Potosina Tamauatzan Cultures Museum” where you’ll view a significant archaeological collection. This visit is educational and a great way to start your adventure; learning about the area’s history, culture and people. 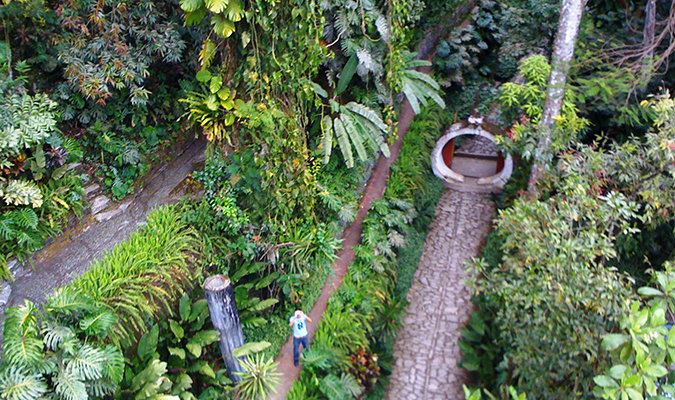 Continue your journey on a scenic 2 ½ hour drive to Xilitla. Upon arrival, you will check in to your one-of-a-kind hotel and enjoy the swimming pool or just relax in your room before a delicious dinner is served at the hotel restaurant (not included). This is approximately an eight-hour excursion, including stops along the way and time for lunch. Important Note: logistics and visits on this trip may change or need to be adjusted according to flight schedules – as dates gets closer and actual dates are confirmed. After breakfast, at 9:00 am, you’ll meet your guide in the hotel lobby and begin today’s adventure with a privately guided visit to the ex-convent de San Agustin, built in 1553 and thought to be the oldest building in San Luis Potosi. 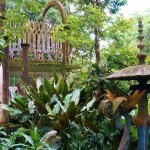 We will continue our visit to the world-famous Surreal Gardens of Las Pozas. 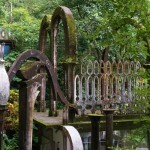 Created by the British poet, artist and surrealist, Edward James, this surreal garden of concrete structures veiled in lush vegetation has become world famous and a top attraction in Mexico for many. 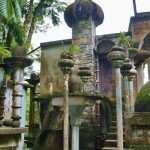 Covering more than 80 acres and full of verdant vegetation, this dreamlike setting is a feast for the senses with sounds of natural streams and waterfalls, sights of incredibly unique Surrealist concrete structures and sculptures and the seductive aroma of a rich tropical forest. 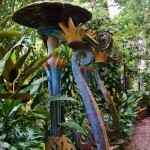 You are sure to be captivated by its rare allurement. Around 1:00 pm we will leave the gardens and drive (30 minutes) to a Tenek Village—an indigenous community where the Tenek people live. 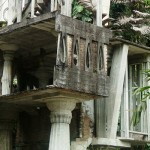 Delight in the privilege of visiting this community and closely admiring their lives and distinctive culture. While visiting, we will enjoy lunch, as special guests of the community; dining in a traditional, private home and enjoying a customary meal while learning more about the Tenek customs and way of life. Later in the afternoon we will say goodbye to our new Tenek friends and depart to Sotano de Las Golondrinas, or Cave of Swallows. Following a one-hour drive, we will arrive right on time for the afternoon bird spectacle as the come to roost for the night. The Cave of Swallows is a pit cave with an huge mouth-like opening of 160 by 205 feet (49 by 62 m) and a straight down vertical drop of 1,220-feet (370 m), making it the largest known cave shaft in the world! Thousands of birds that spend their nights deep in the refuge of the cave’s depths. In the mornings they fly in circles within the cave’s walls and slowly ascend to daylight at the mouth of the cave above. While the morning show is all about symmetry and ‘lift’, the evening show, as they return to the cave’s depths, is a spectacular example of nature’s synchronization, teamwork and free-fall aerobatics. Please note a good fitness level condition for the Cave of Swallows excursion is required, walking and stairs climbing are involved. This is experience is not appropriated for people with walking difficulties. The birds circle the entrance of the pit and, at periodic intervals, batches of about fifty birds break away and dive into the cave. They enter the cave in a dramatic way and free-fall over 1,000 feet (300 m) to the bottom of the cave before spreading their wings to break the fall. It is a stunning site to behold! 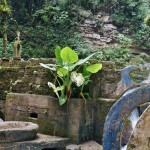 In the evening, board your transfer back to Xilitla (1 ½ hrs drive) and enjoy a late dinner upon arrival. After breakfast and hotel check out, you will meet your guide in the lobby for a three hour drive to the “El Consuelo,” the archaeological zone of Tamohi. 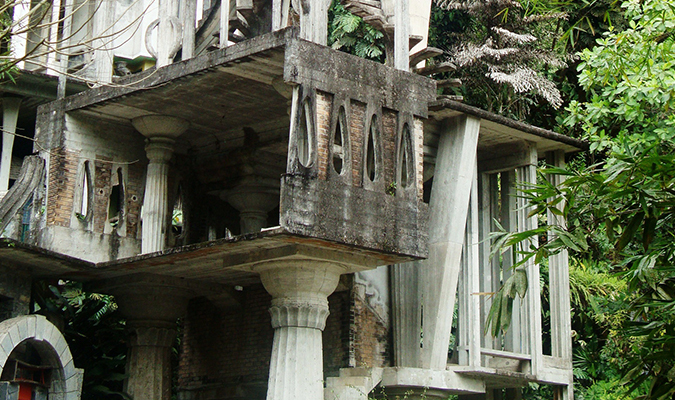 This architectonic ceremonial complex was built by the Huasteca culture groups between the eighth and sixteenth centuries. After your visit, continue to the Tamtoc archaeological zone, arriving at 1:00 pm, to tour the area and enjoy lunch in a local restaurant. In the evening, we will continue our journey towards the Tampico Airport, arriving at 6:00 pm for flight check in (flight option at 8:30 pm to Mexico City).